The great but tragic champion is back, Venus Williams is once more a finalist at a Grand Slam tournament since Wimbledon in 2009. 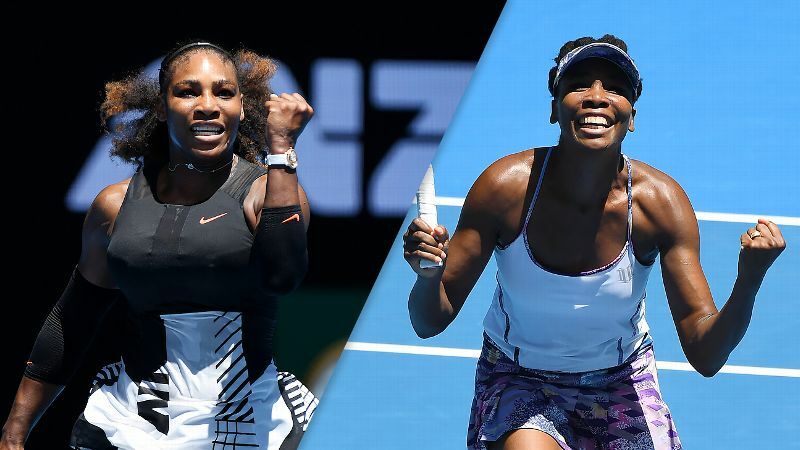 She defeated fellow American CoCo Vandeweghe 6-7 (3), 6-2, 6-3 in at the Australian Open Thursday in a marathon of a match that went on for two hours and 25 minutes. She was put under tremendous pressure by the unseeded American when after being outplayed by Venus in the first set; she was able to somehow come on top in the tiebreaker, winning the set. Champion and survivor that she is, the 36-year-old displayed a fire rarely seen on or off the court. Furious at letting a winnable set go and determined to not succumb as she has so often done since her last finals due to a combination of the debilitating illness she suffers from and a lack of form and confidence as it robs her of practice time and of energy at inopportune moments, she pulled it out. She is now back at the Australian Open final for the first time since 2003, ironically, a final she lost to her sister in three sets. She will next face the most dominant force women’s Tennis has ever had, her sister and No. 2-seed player in Australia, Serena, who crushed her semifinal opponent, Mirjana Lucic-Baroni 6-2, 6-1 in just 50 minutes to advance to her 29th Grand Slam final.